"Green Book", which secured the Best Picture honour at the 91st Academy Awards, was re-released pan-India by Reliance Entertainment on Friday. "We are excited to bring 'Green Book' back in cinemas. This is a very proud moment for all of us," Shibasish Sarkar, Group CEO at Reliance Entertainment, said in a statement. 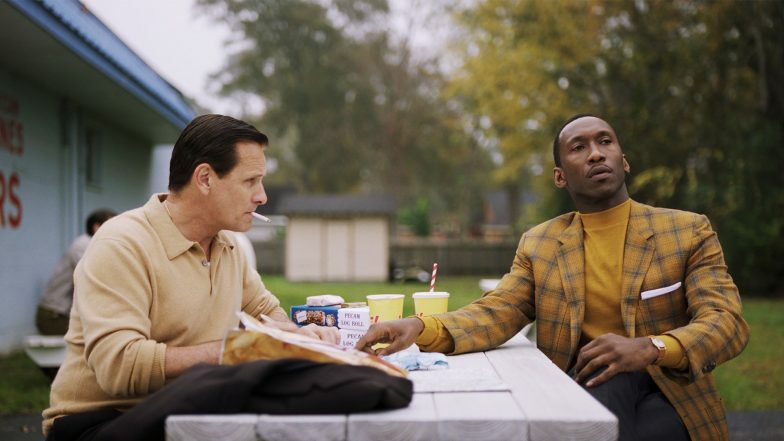 Oscars 2019: 5 Reasons Why Green Book’s Best Picture Win at 91st Academy Awards Isn’t All That Bad!. "Green Book", directed by Peter Farrelly, is based on a true story of friendship and relationship between a working class Italian-American bouncer, who becomes a driver of an African-American classical pianist on a tour of venues through the 1960s American South. Ali plays the role of jazz pianist Shirley in the biographical drama. Talking about the role, Ali said in a statement: "What really intrigued me about Don Shirley was how complicated he was. There's so much to pull from in terms of the things he was dealing with, the things he struggled with. I'm thankful to Peter Farelly - by far the most collaborative director I've ever worked with - for his leadership and guidance." Farrelly says the story is about love. "We are the same people. And telling this story would not have been possible without Viggo and Mahershala. The film wouldn't have been released were it not for Steven Spielberg." All Not Well Between Irina Shayk And Lady Gaga Courtesy Her Performance With Bradley Cooper At The Oscars 2019?